Times of San Diego is one of the news sources iPhone and iPad users will find in the Apple News app in the new iOS 9 operating system available Wednesday. Apple’s new operating system is a free update for iPhone 4s and later, iPod touch 5th generation and later, iPad 2 and later and iPad mini and later. 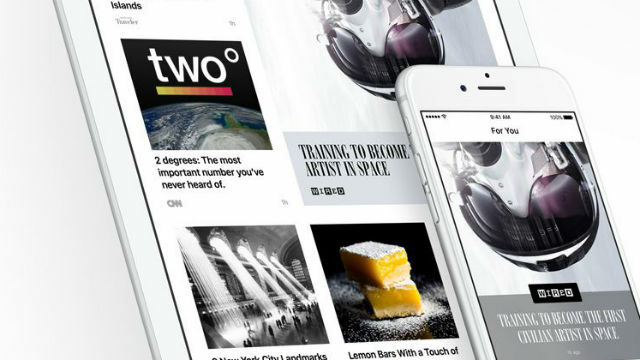 The News app delivers a reading experience that, according to Apple, combines the rich, immersive design of a print magazine with the interactivity of digital media. News can learn a user’s interests and suggest relevant content that can be shared or saved for later. “News seamlessly delivers the articles you want to read in a beautiful and uncluttered format, while respecting your privacy, because Apple doesn’t share your personal data,” said Eddy Cue, Apple’s senior vice president of Internet Software and Services. Times of San Diego publishes 20 to 25 articles daily with essential news about the San Diego metropolitan area. Its audience of nearly 200,000 is made up primarily of Millennials and Gen Xers in contrast to the older readers of local newspapers and viewers of local broadcast television.